The AB SCIEX TripleTOF 5600 System is claimed to be the life science industry's fastest and most sensitive high-resolution mass spectrometer for high-performance qualitative and quantitative analysis. This system combines for the first time on a single platform the quantitative capabilities typically associated with triple quadrupoles and the qualitative capabilities of a high-resolution accurate-mass system. The TripleTOF 5600 System provides access to powerful new workflows for comprehensive exploration, rapid profiling and high-resolution quantitation of complex samples. 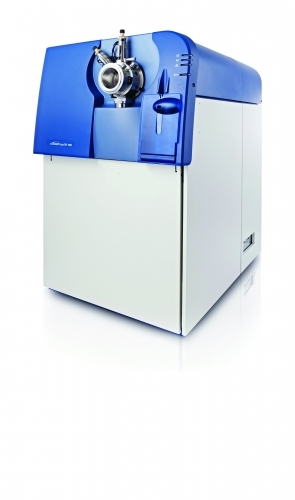 It delivers a series of new innovations, including SmartSpeed 100Hz Acquisition which gives 5 times higher speed than any other high-resolution mass spectrometry system; Accelerator TOF Analyzer for rapid high-resolution data with the industry’s highest sensitivity; and EasyMass Accuracy to achieve stable ~1ppm mass accuracy without continuous user calibration.